Welcome to Pharr, Texas, a Triple Crown City and a community with bi-cultural diversity, beauty and history. Pharr is strategically located in the middle of the Rio Grande Valley of South Texas, only minutes from the Mexico border. The City of Pharr is located in Hidalgo County which in turn is part of three other counties that make up what is more commonly known as The Lower Rio Grande Valley. And even though our valley is actually a delta plain, with a gradual slope towards the Gulf Coast, the latter name is more identifiable among visitors and locals alike. Today with a healthy economy and steady growth, Pharr is the hub of transportation for the region and a major gateway for NAFTA-oriented businesses. It is strategically located to reap the benefits of explosive growth in commerce and trade. The Pharr area offers a top-quality workforce on both side of the border. Well over 250,000 visitors enjoy the diversity of Pharr�s culture, businesses, and people that provide a variety of retail outlets, residential neighborhoods and cultural events. Pharr�s rich heritage is unwavering. The spirit of tradition and a strong sense of community are flourishing in Pharr. Over the last 10 years, Pharr has experienced unprecedented growth and economic development. Its population has steadily increased to over 60,000 people. The housing industry has been booming, businesses continue to move to Pharr, and the Pharr-Reynosa International Bridge traffic is at an all time high. The sales tax base continues to increase and more jobs have been created. Pharr's road success has been rising and now the city has arrived. The National Civic League crowned the 2006 winners of the coveted All-America City Award from Anaheim, CA. Pharr is one of the winning communities. The Rio Grande Valley region is one of the fastest growing in the nation, and the City of Pharr is in the center of it all! This region has a current population of over 1 million and a projected estimate of 1.3 million in the next ten years. This explosive growth is due, in part, to the presence of the border with Mexico. An estimated 2 million people live along the Mexican side of the border, and when combined with the U.S. side the regional population is comparable with that of Texas� larger cities, like Dallas or San Antonio. The region is continually growing due to tourism from Mexico, Winter Texans, Canada, and more recently ecotourism. The City of Pharr, as previously mentioned, has seen a tremendous growth in both commercial and residential subdivisions at a phenomenal rate. Many new businesses have opened in the area, creating new jobs and providing other goods and services to the community. These new commercial and residential developments have enhanced the City's appeal as it continues to improve the quality of life for all of its residents. The City of Pharr is owner of the Pharr-Reynosa International Bridge, which has become quite active in the generation of business and revenue for the community and surrounding areas. Since its completion in January 1995, the City of Pharr is in an enviable position to ensure economic and community development. 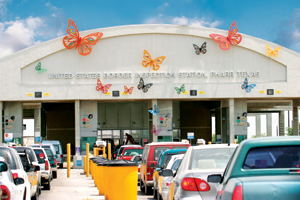 The City of Pharr is located at the �hub� of U.S. 83 and U.S. 281 and home to the newest of the international crossings into Mexico, providing quick access to the maquiladoras of Mexico, transportation routes and industrial trade zones of the region. Many jobs have been created and continue to be because of the success of this bridge. The City of Parr also gives credit to its swift retail corridors, which provide a steady flow of traffic and consumers to some of Pharr's busiest streets. Development of the Interstate 69 corridor from Mexico City through the Valley to Canada will further help integrate economies of the United States, including the City of Pharr with the cities of Mexico. How �Pharr� do you have to go to see colorful butterflies and record breaking bird rarities. Not too far. Or should the �buzz� be, �Yes, to Pharr, Texas�. Even though the City of Pharr reaches the southern most tip of North America, it is never too far for anyone to travel to experience nature at its most unique and preserved moment. And if you are one of the millions of birders nationally which have inherited a quest to identify and record as many "lifers" to your bird list, a trip to Pharr may well be worth it! Geographically speaking, this land area is a birder�s destination for it is through this area that the Central and Mississippi Flyways for the migration of birds funnel their way through on their North and South destinations. The end result is that out of the 800 plus bird species recorded in the United States, 500 have been recorded in the Rio Grande Valley, and the city of Pharr is making headlines nationally and perhaps even world wide, with these recent rare and first bird sightings in the last three years. With Pharr hosting a few of the nations record breaking bird sights including the nations first confirmed sight of a Black-headed Nightingale Thrush as well as, a Blue Mockingbird and Slate-throated Red Star, it is not out of the ordinary for a Mr. Birder in Wisconsin, or Indiana, or even as far as Alaska to coordinate a week long trip to our beautiful city in the hopes of catching a glimpse of these and other specialty birds whose destination does not take them any further North than right here. Williams Wildscapes� main emphasis is to create or preserve native habitat. At one time the city of Pharr was not all restaurants and hotels; prior to falling to the consequences of urban, industrial and commercial development, Pharr was aggregated with Mesquite, Granjeno and other native trees and plants that were home to a diverse flora and fauna. For this reason, Williams Wildscapes is an educational experience of Pharr�s surrounding existing community and an interpretation of the importance of conserving what is left of the 5% of native habitat in the Valley. Williams Wildscapes is by appointment only and Allen himself offers information and consultation for estimates, design plans, pond installations and maintenance of backyard habitats. If you are a visitor to Pharr or a resident of the community who would like to share a unique nature moment, call Allen Williams at (956) 460-9864 for visitation arrangements and driving directions. 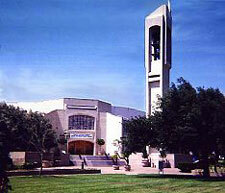 In 1986 and 1988, the City of Pharr annexed the two sections of an area known as Las Milpas. The area of Las Milpas was known as the largest colonia in South Texas with a population of 9,564 and 2,096 housing units according to the 1990 census. At that time, Las Milpas was a substandard subdivision that lacked many of the essential infrastructure improvements such as drainage, sewere, water, and paving. The cyclical poverty of the area heightened the need for social, health and economic services, all sorely lacking. The majority of the Las Milpas residents (84%) are considered to be below the 50% poverty level. 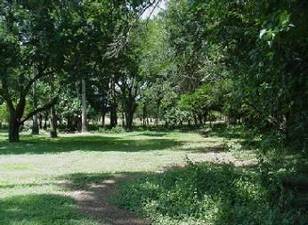 Today, the Las Milpas/South Pharr area is no longer considered a �Colonia� as it now has become a growing community full of pride. The 2000 Census reflects a population 14,572 with 3,300 housing units. Current estimated 2004 population is 17,212.